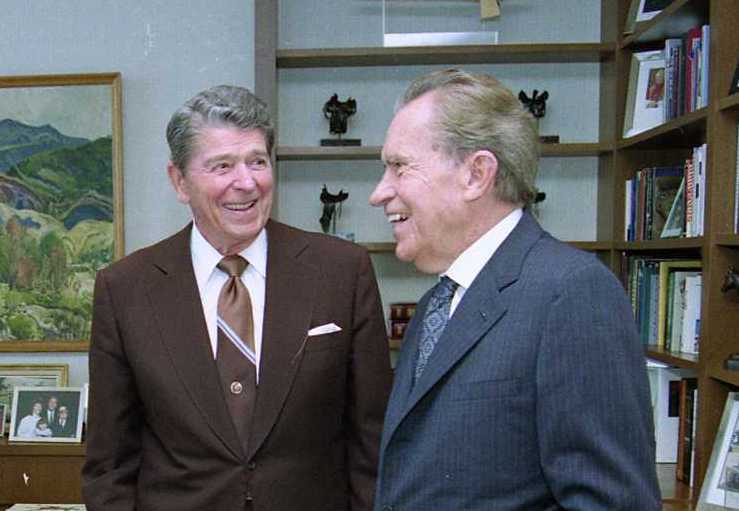 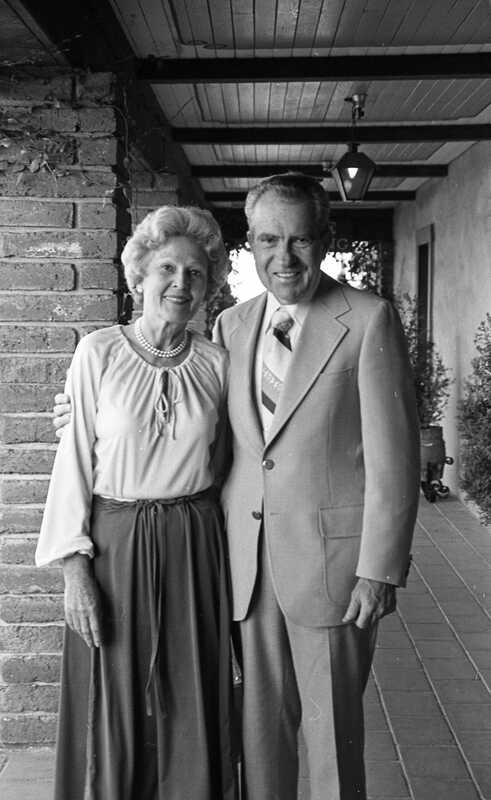 The Richard Nixon Foundation in Yorba Linda, CA, today released photographs documenting the activities of Richard Nixon’s family life and professional career during the post-presidential years. 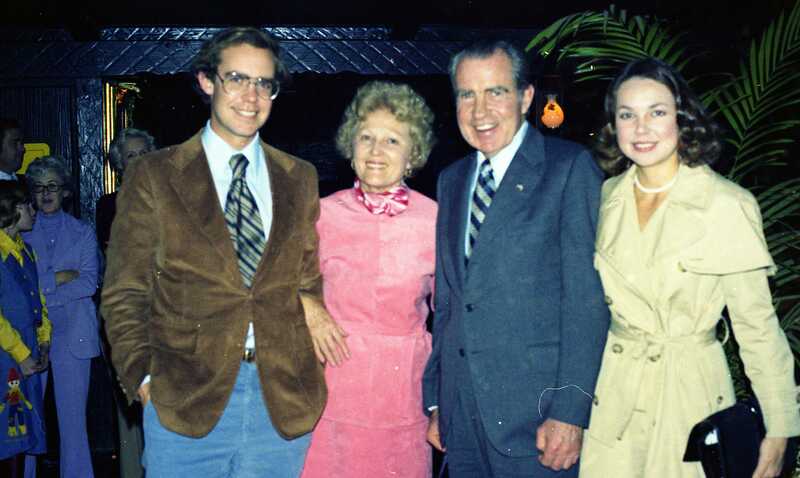 Included in the collection are number of photographs from Pat Nixon’s early life. 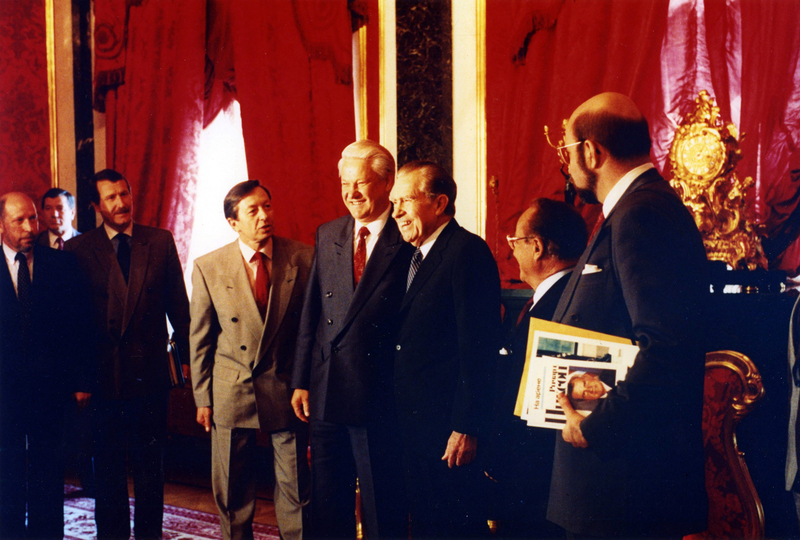 Previously closed for public dissemination, the Foundation visual materials published on the website are now open to the public. 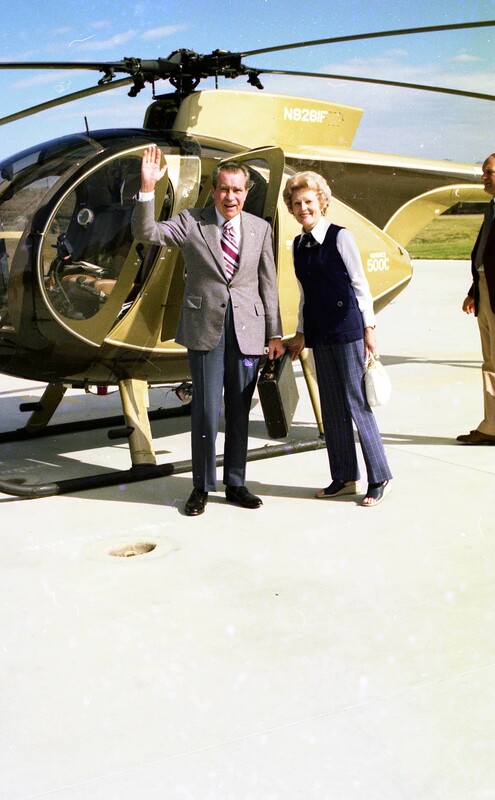 Richard Nixon and Pat Nixon board a helicopter bound for Palm Springs. 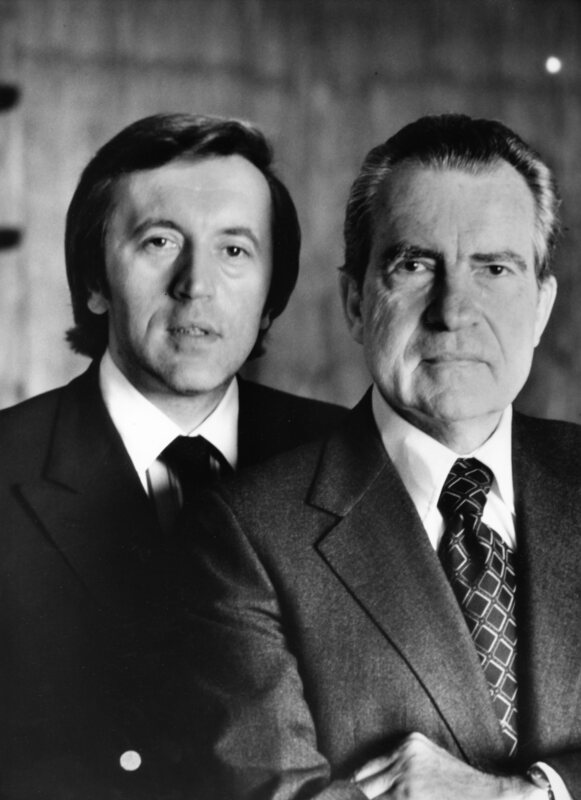 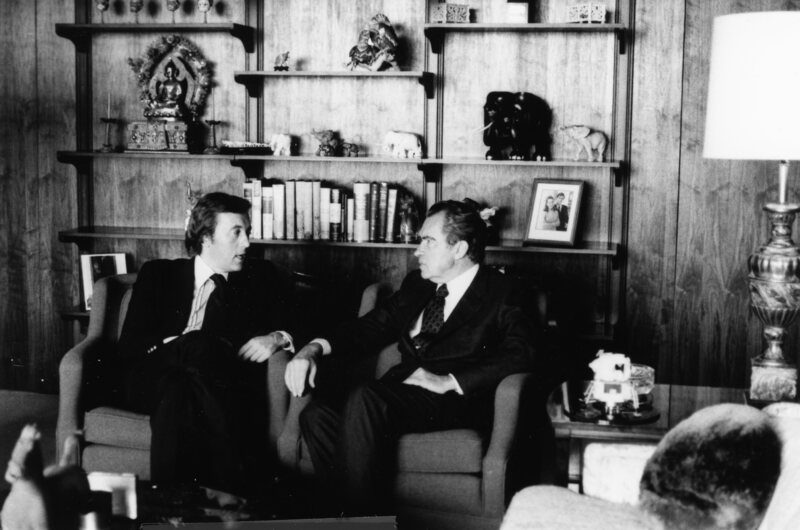 Portrait of David Frost and Richard Nixon. 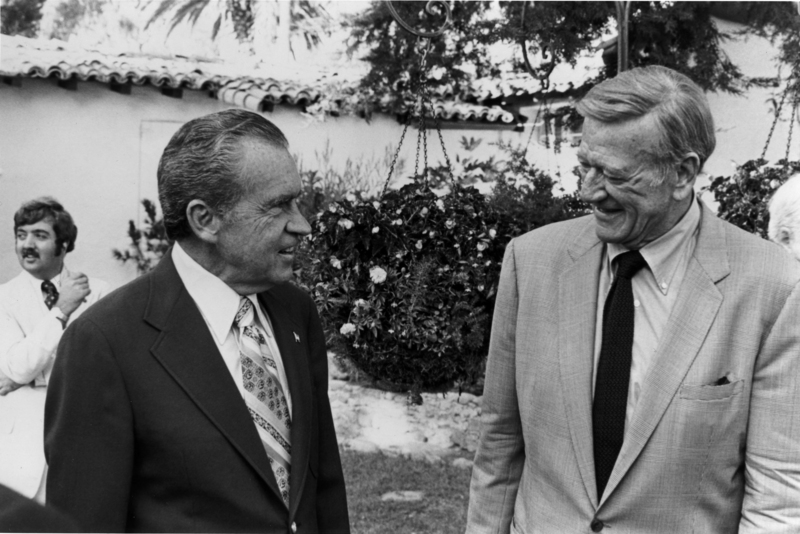 Richard Nixon and John Wayne. 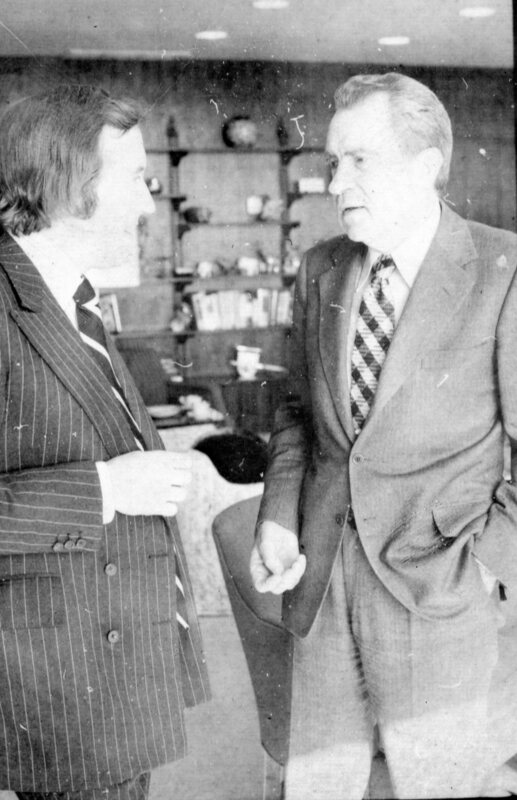 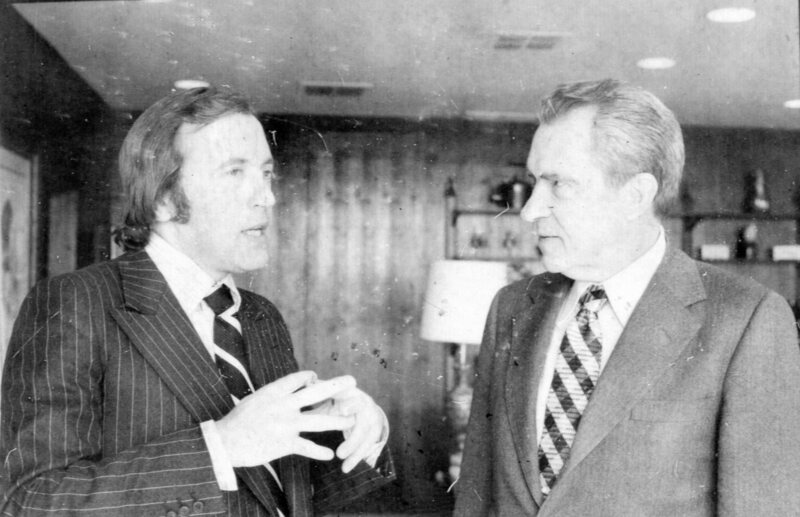 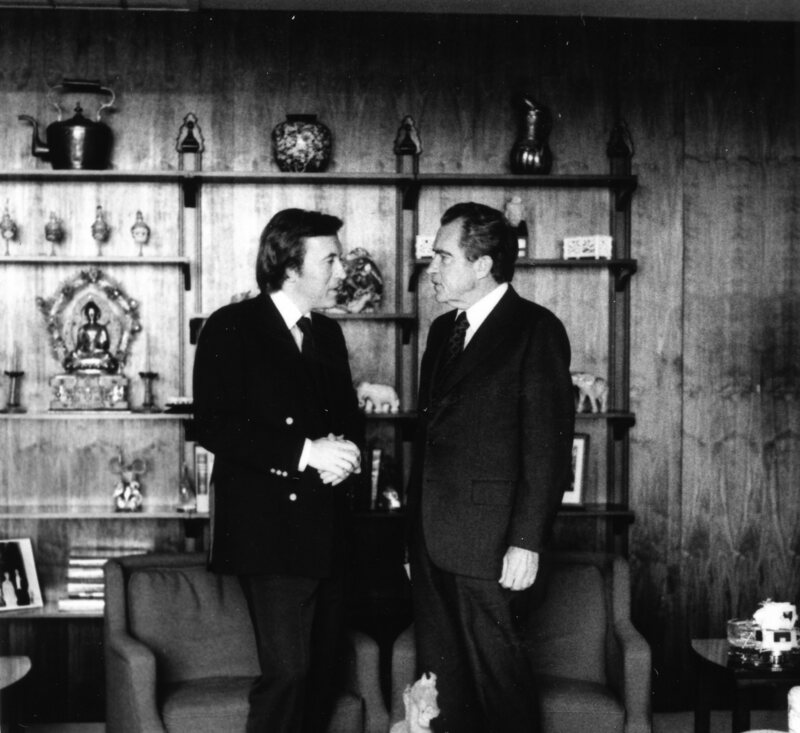 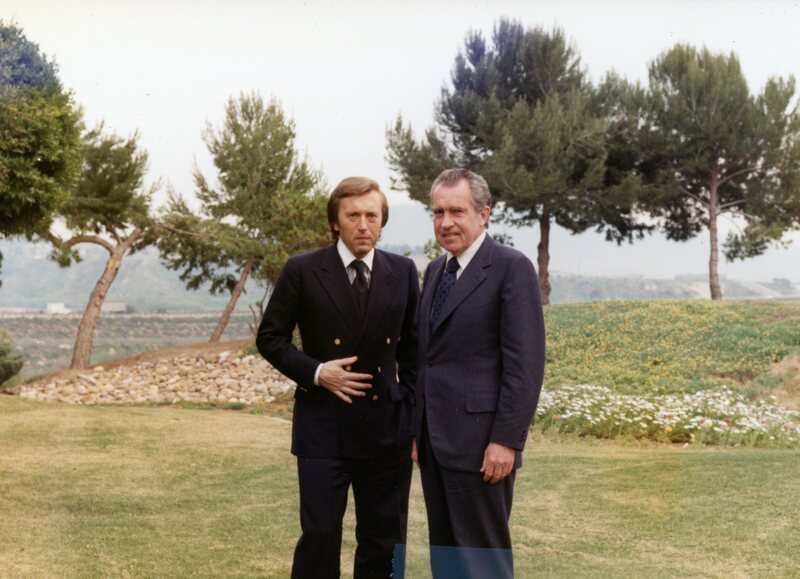 Richard Nixon with David Frost. 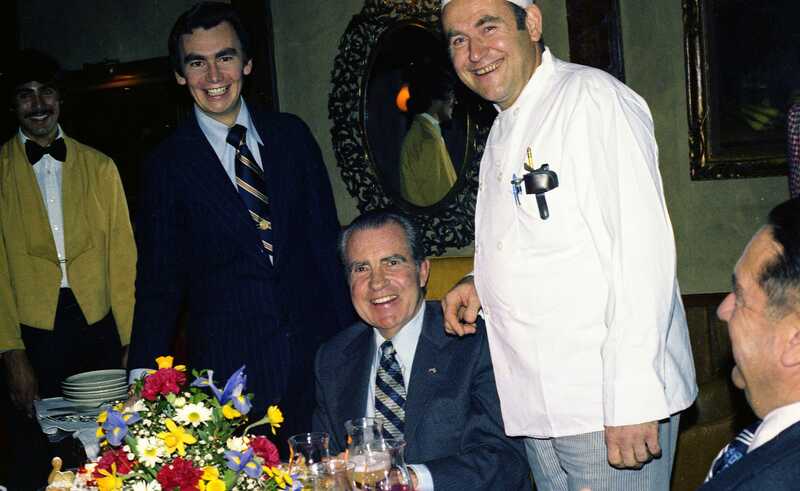 Richard Nixon, Pat Nixon, Julie Eisenhower, David Eisenhower, and others attend Nixon’s 65th birthday dinner at El Adobe Restaurant. 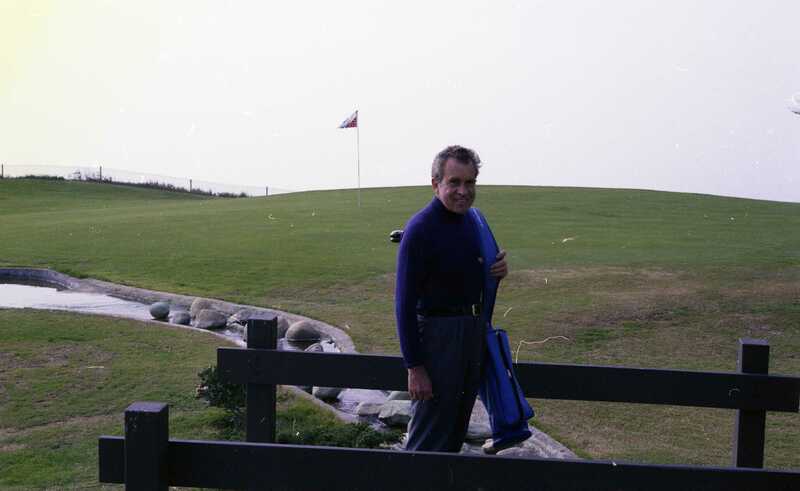 Richard Nixon at the Shorecliffs golf course in San Clemente. 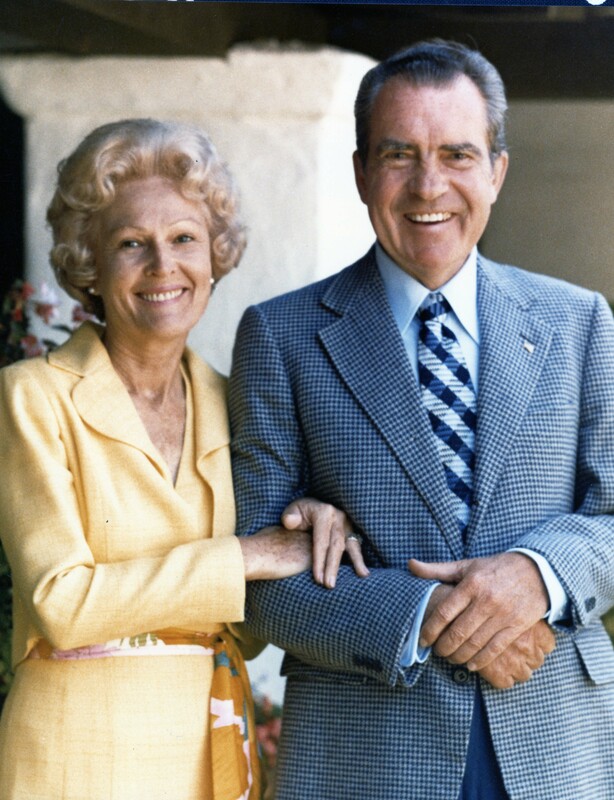 Portrait of Richard Nixon and Pat Nixon. 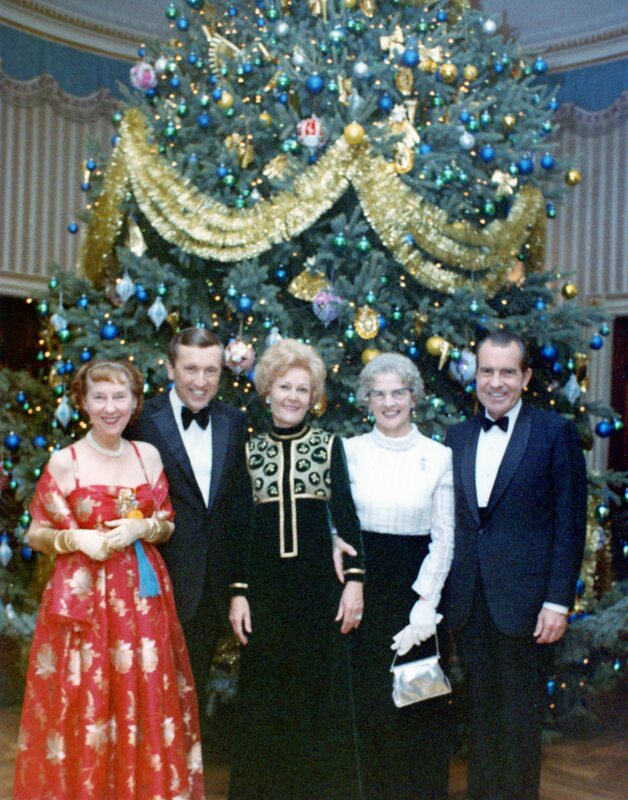 Richard Nixon, Pat Nixon, David Frost, and Mamie Eisenhower stand in front of White House Christmas Tree during David Frost’s Christmas Eve program at the White House. 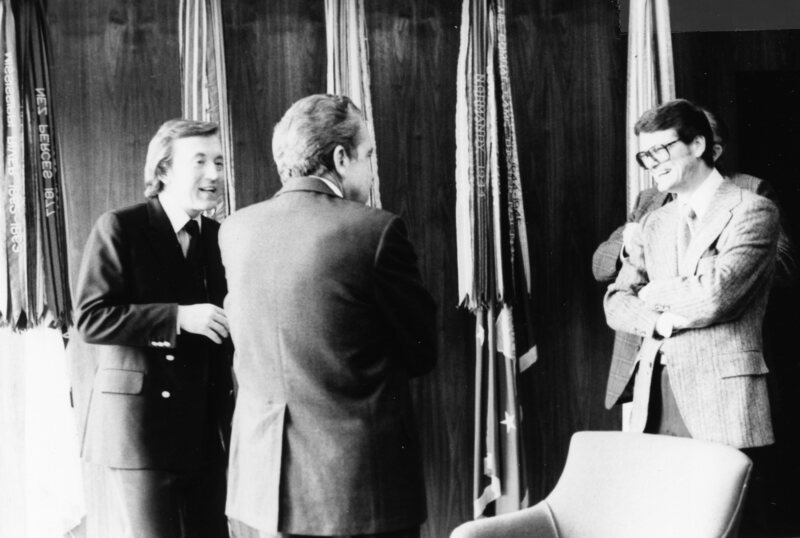 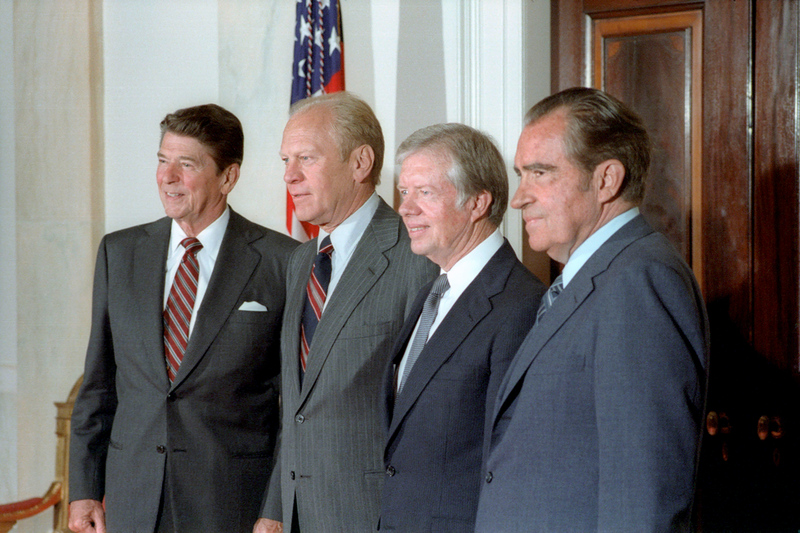 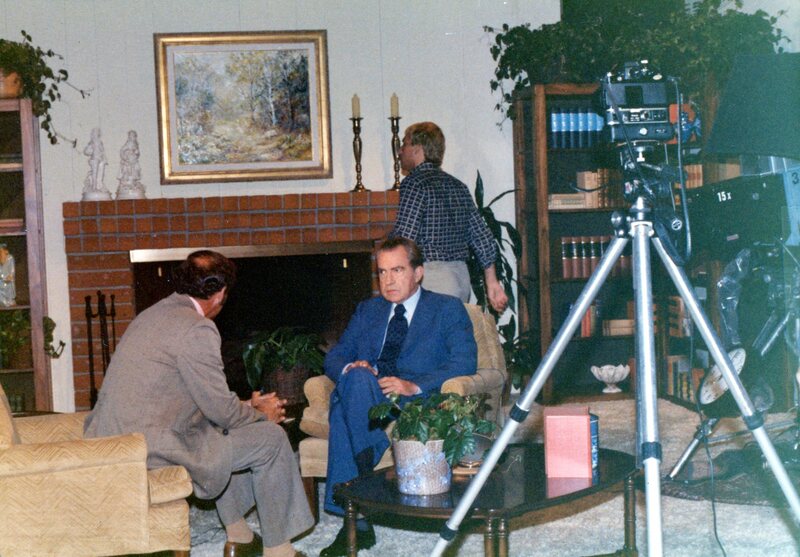 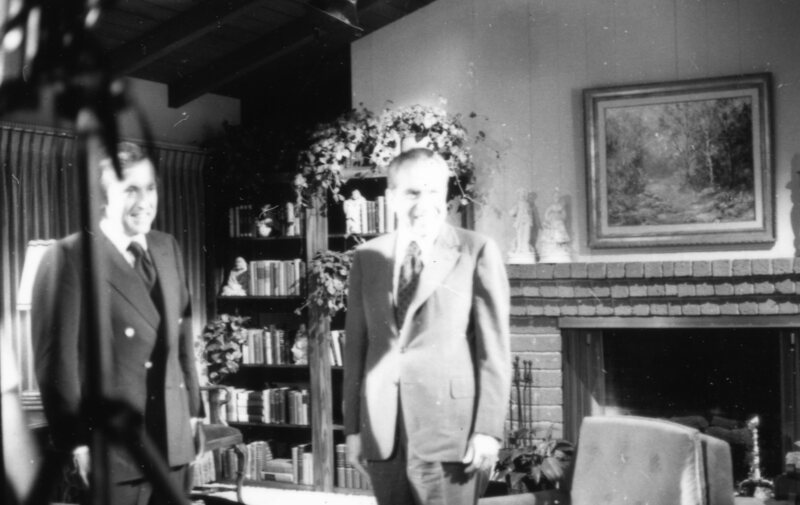 Richard Nixon, David Frost, and staff on the set for the Nixon/Frost interviews production. 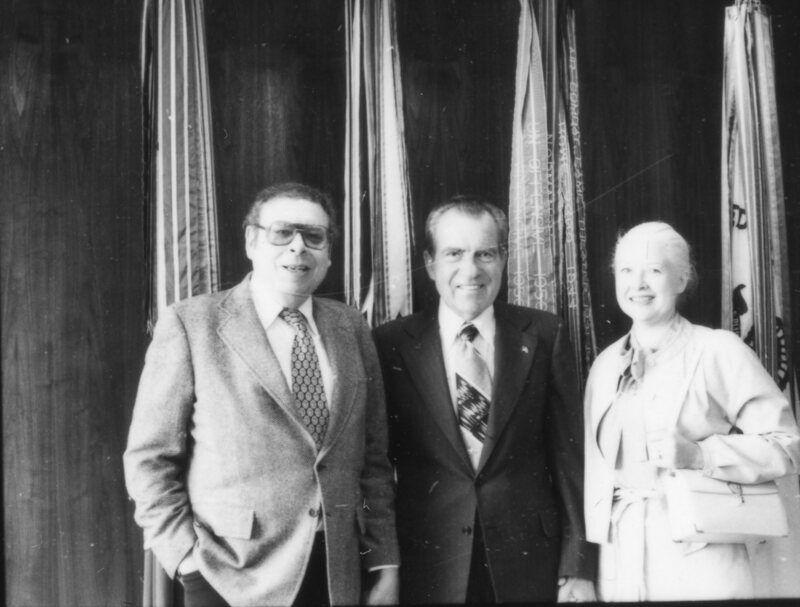 Richard Nixon with Victor Lasky and his wife Patti Lasky. 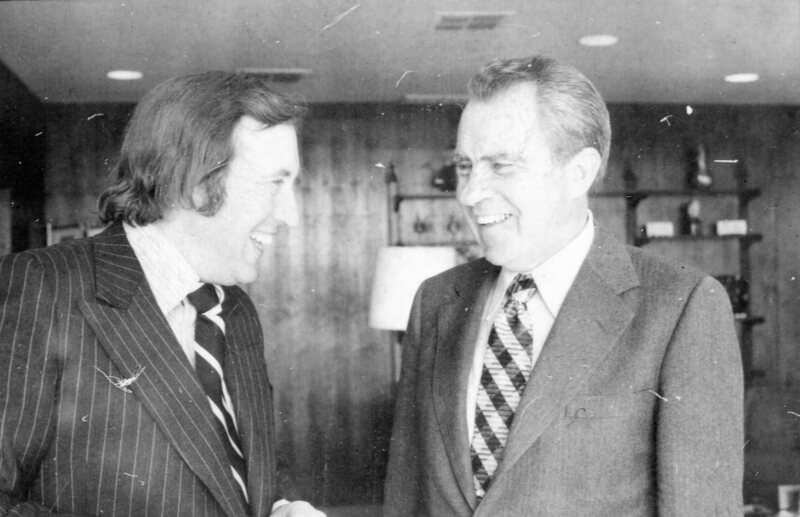 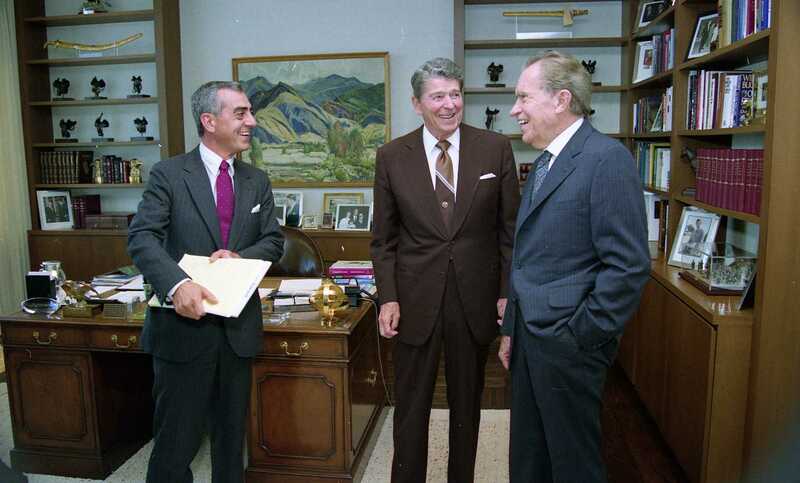 Richard Nixon with David Frost and staff member. 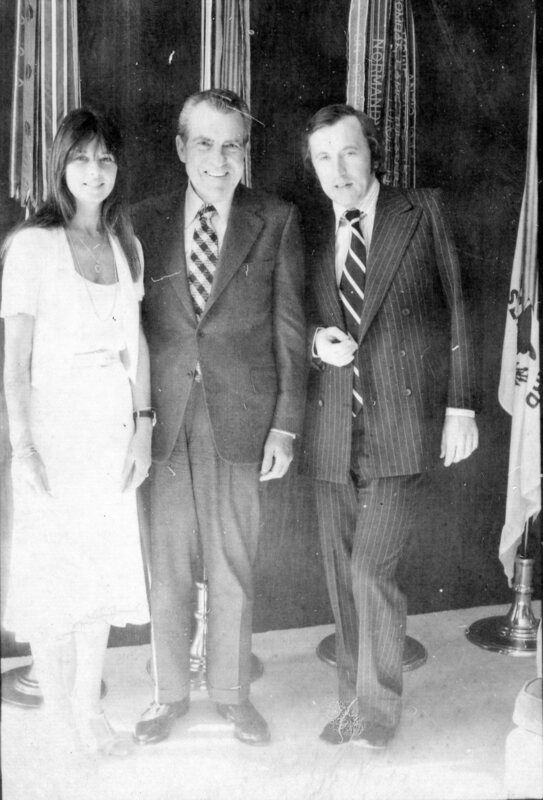 Richard Nixon with David Frost and Caroline Cushing. 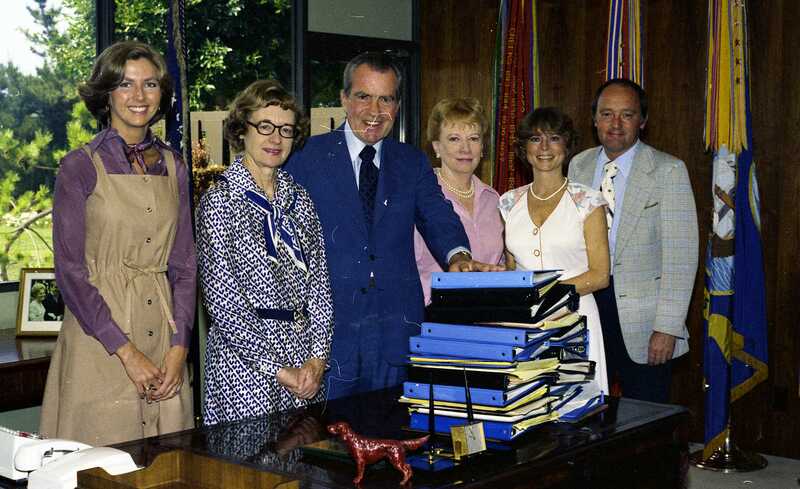 Richard Nixon, Rose Mary Woods, Cathy, Loie Gaunt, Marnie Pavlick, and Bob Dunn stand in back of a series of binders upon completion of Nixon’s memoirs. 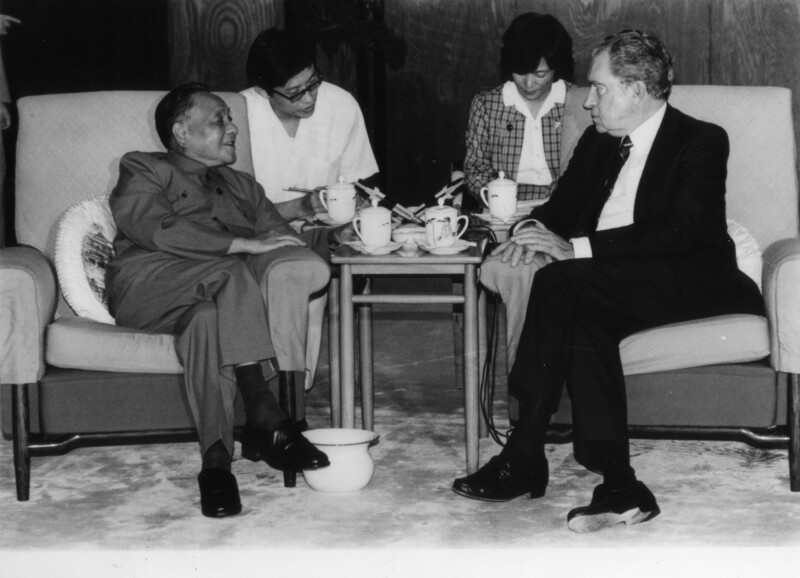 Richard Nixon, Deng Xiaoping, Ed Cox, and others seated in a meeting during Nixon’s trip to China. 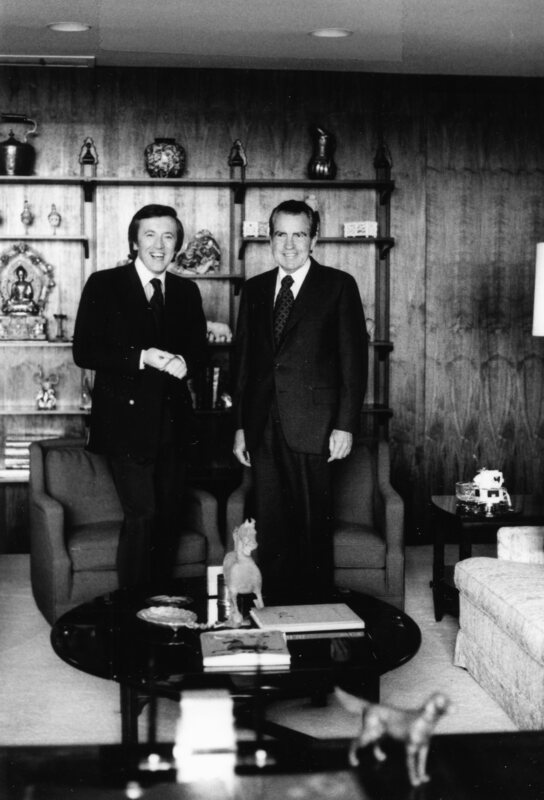 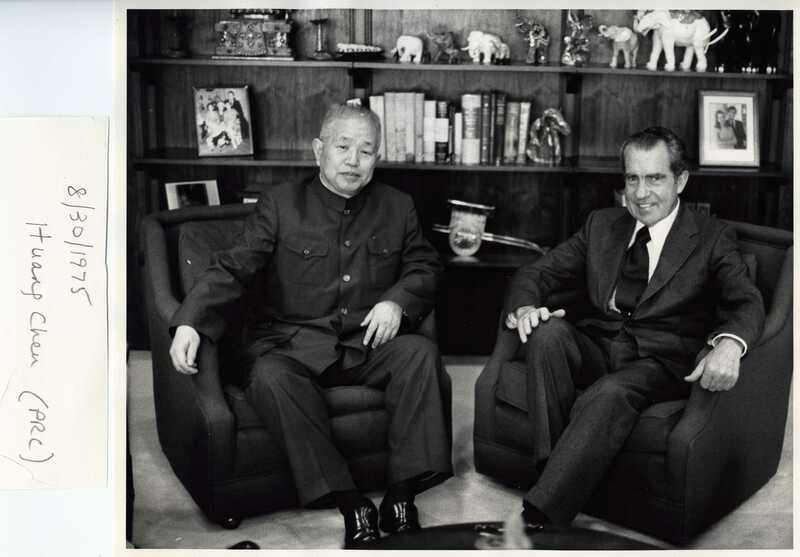 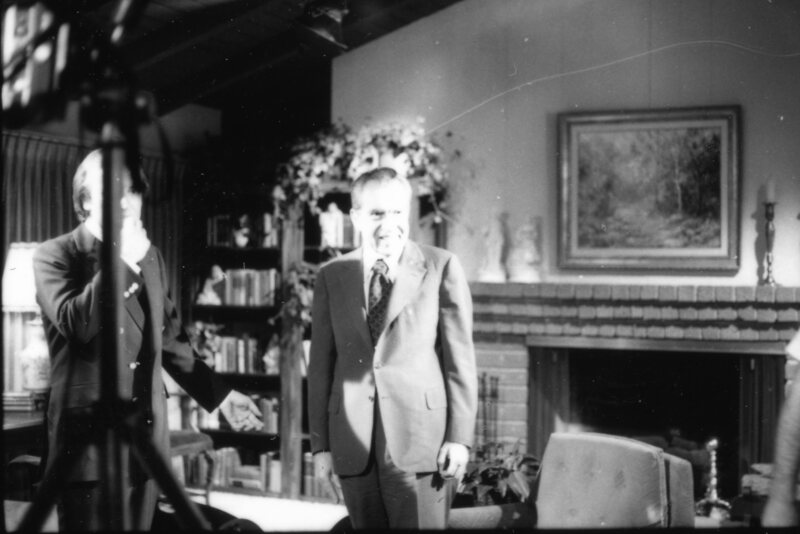 Richard Nixon seated with Huang Chen, former ambassador and the current Minister of Culture of the Peoples Republic. 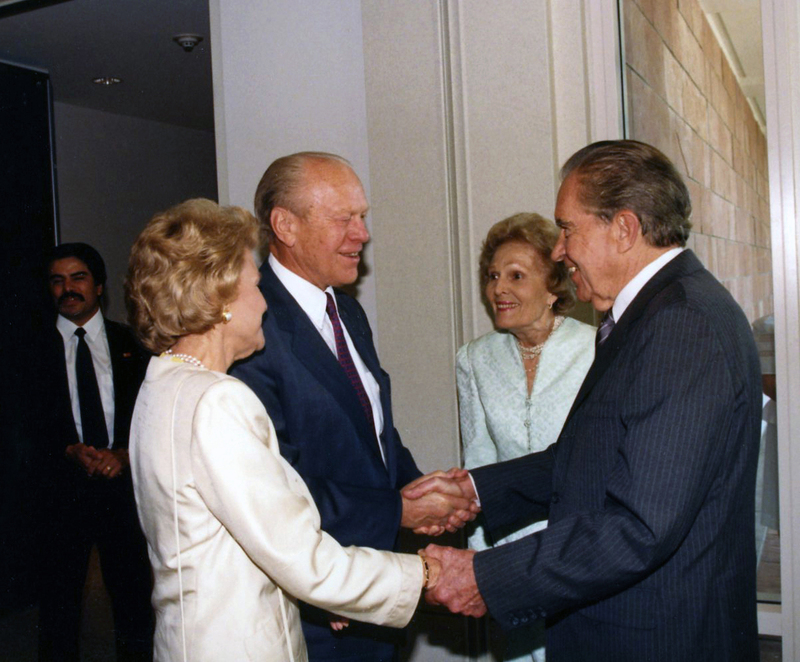 Richard Nixon and Pat Nixon greet Gerald and Betty Ford in the lobby of the Richard Nixon Library. 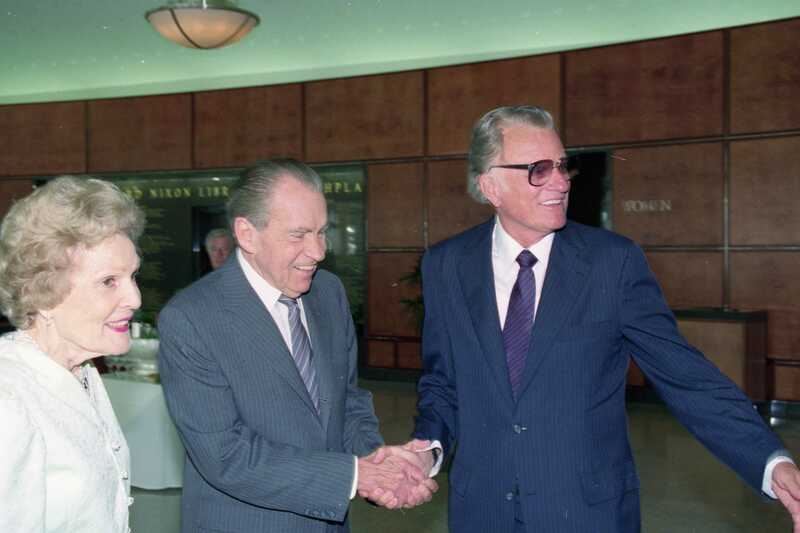 Richard Nixon and Pat Nixon with Billy Graham in the lobby of the Richard Nixon Library. 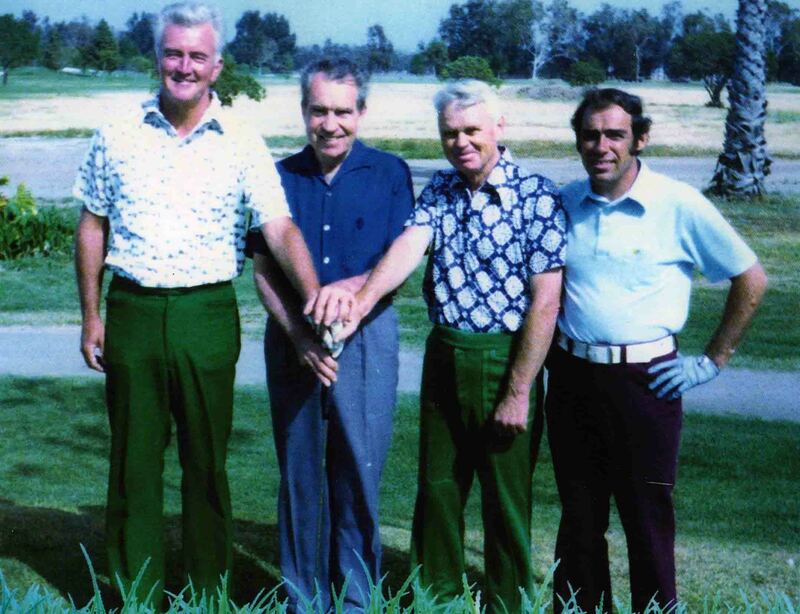 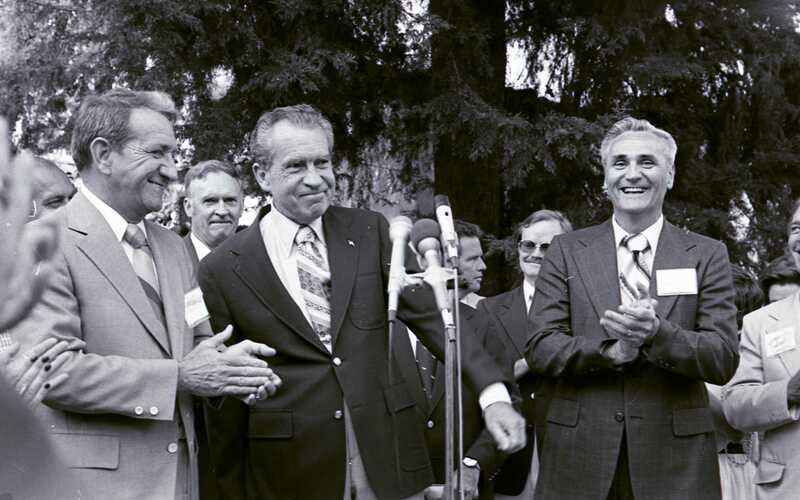 Richard Nixon Charlies Amos and Bill Bryant during an opening of a golf course. 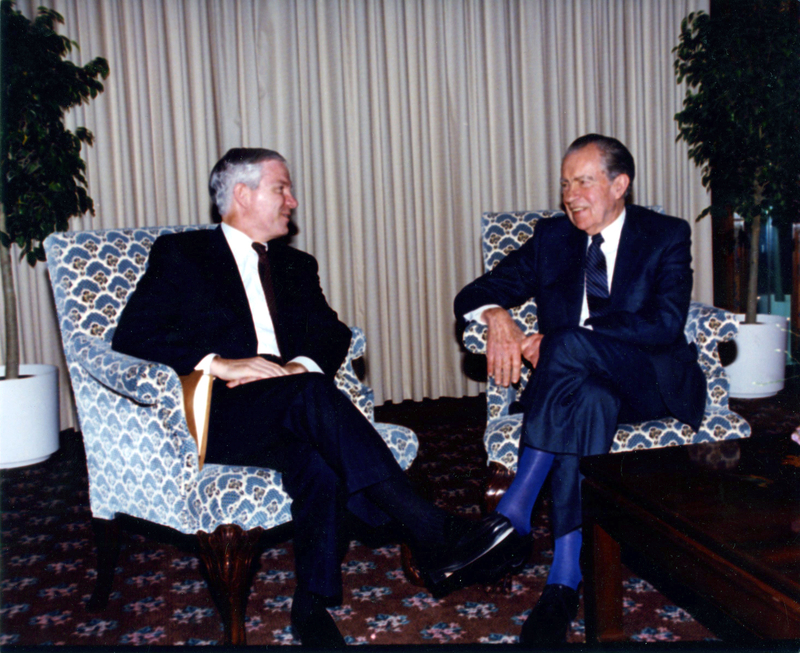 Richard Nixon meets with Robert Gates. 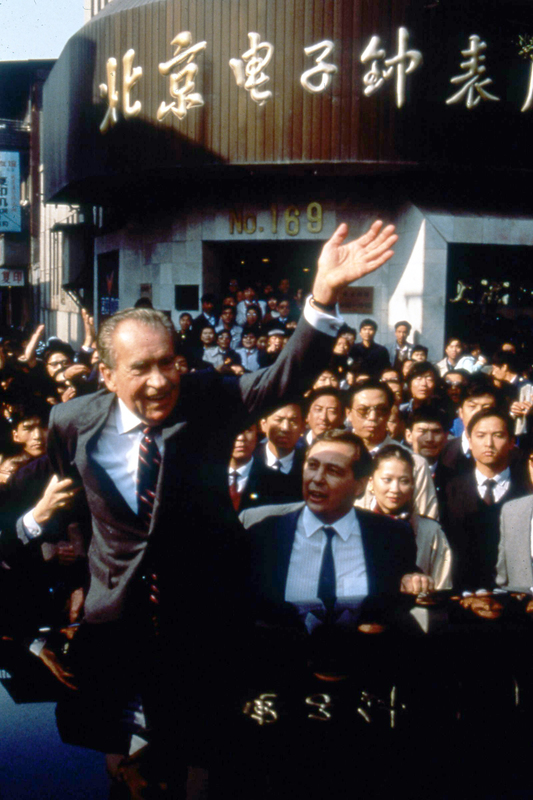 Photos taken of Richard Nixon during a trip to China in 1976. 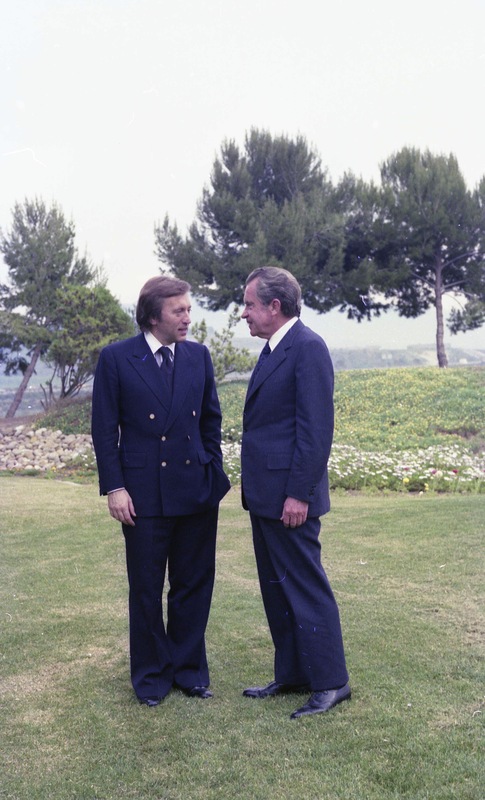 Richard Nixon stands with Boris Yeltsin. 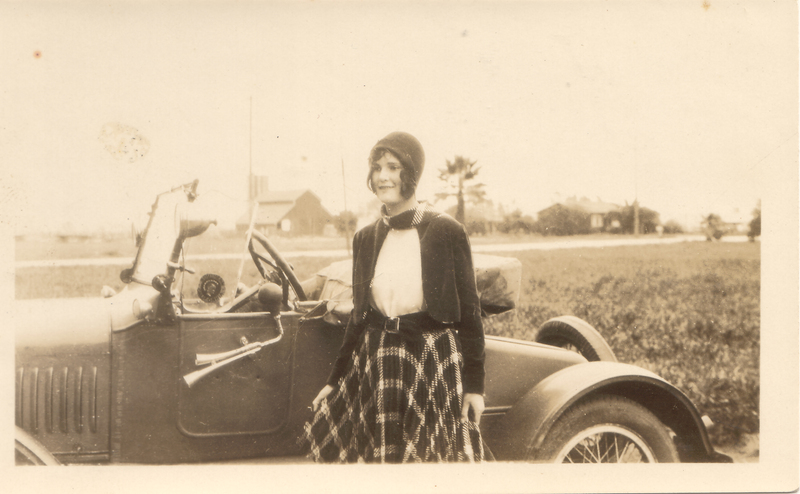 Pat Ryan, wearing a bonnet, stands at the side of an automobile. 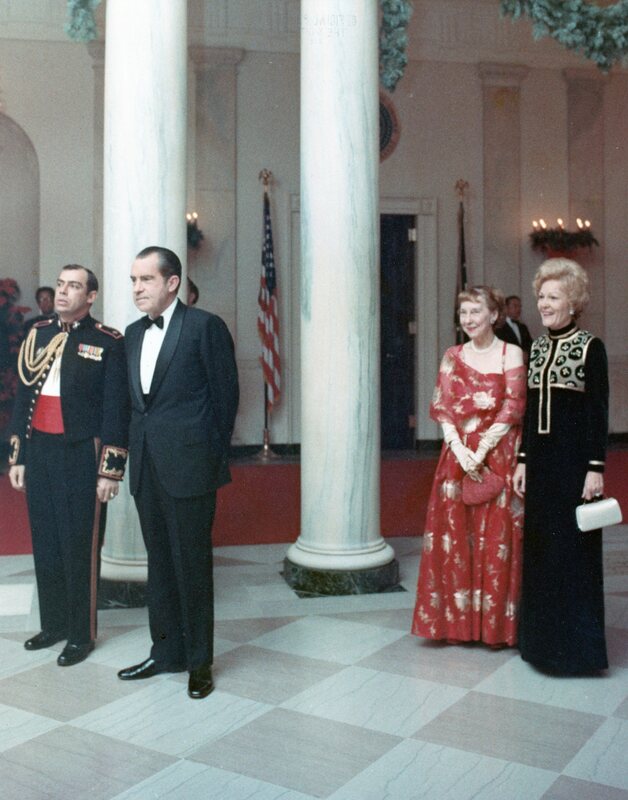 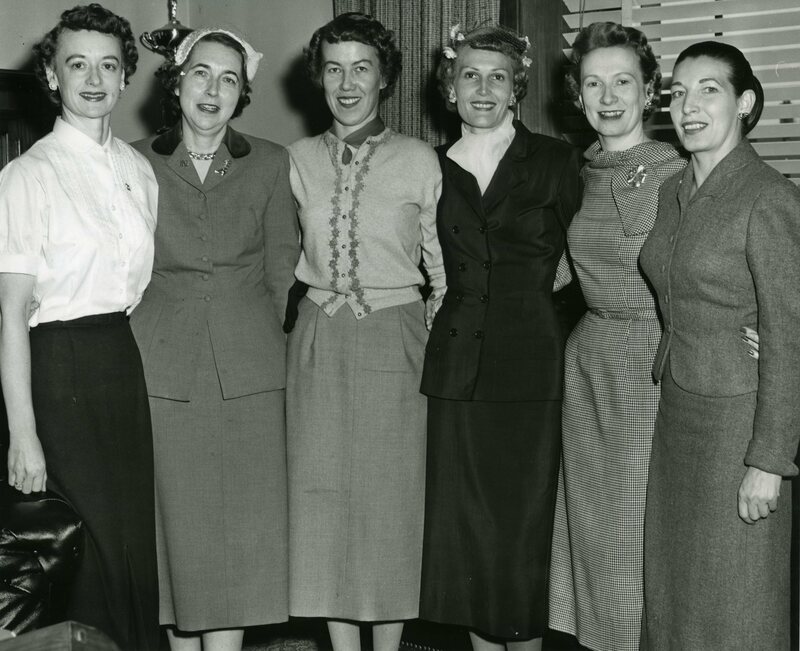 Pat Nixon stands with Rose Mary Woods, Dorothy Cox, Priscilla Everts, Margaret Brack, Louise Gaunt. 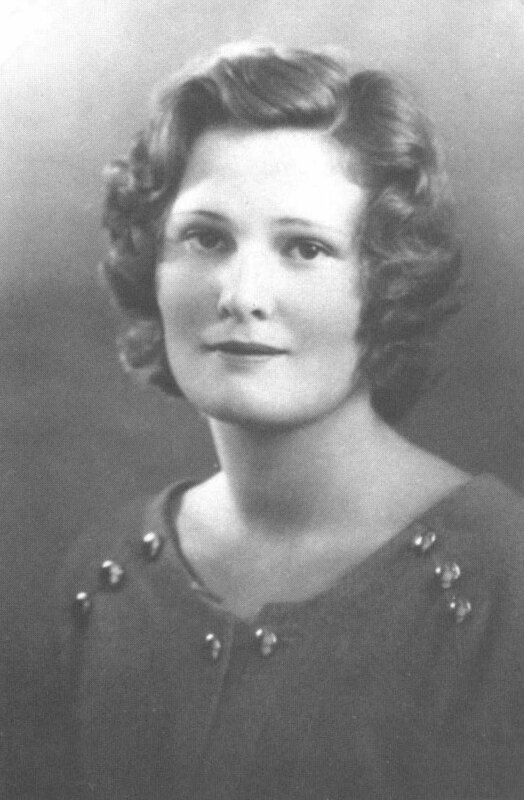 Formal portrait of Pat Ryan as a young woman. 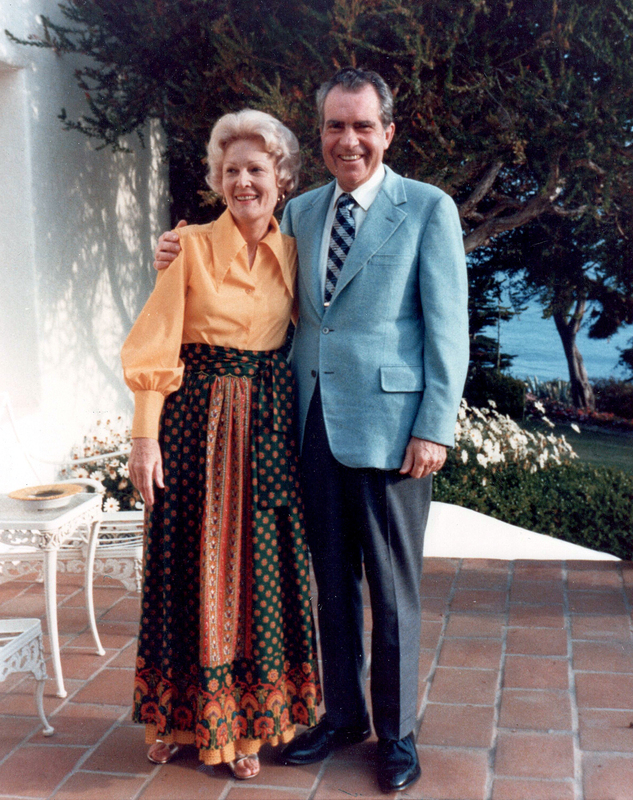 Richard Nixon and Pat Nixon in San Clemente, 1975.